Dubai: More tenants in Dubai are making demands of their landlords and getting them — such as multiple cheques and longer rent-free periods. This ability to negotiate is limited largely to new communities or where the support infrastructure, as well as retail offerings, haven’t been completed. This was also the case during the property crash in 2009-10, when new homes were being handed over and landlords were willing to go any distance to fill them. This continued until the market suddenly picked up from mid-2011. Last year, average rents slipped by 6 per cent in Dubai, with much of the softening taking place in the freehold communities. If at the start of last year, pressure on rents was felt mostly by high-end rented homes, by the close even mid-market residential locations elsewhere in the city was witness to such pressures. According to market feedback, the first weeks of 2017 continue to see a pressure on residential rentals. 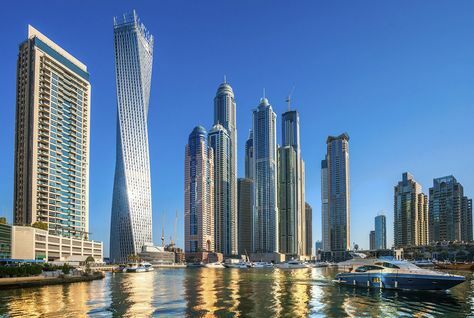 Of the locations that recorded steep falls, average one-bedroom rents in Jumeirah Lakes Towers have been hit with drops of as much as Dh15,000, according to the Asteco data. Units there are available for Dh75,000. But rates in the Downtown on one-beds remained steady at around Dh115,000, and so did those at The Greens (at Dh95,000). Al Barsha homes average Dh75,000. Average villa rents dipped 5 per cent year-on-year, with those in Al Barsha and Meadows going trough “double-digit declines” as tenants relocated to new, more affordable areas. But rents on three-bedroom villas in Jumeirah (at Dh190,000), Jumeirah Village (Dh160,000) and The Springs (Dh180,000) were “unchanged from a year earlier”. In terms of anticipated new supply this year, Asteco projects about 30,000 units, much higher than projections from other agencies, which place handovers at around 20,000 units. Last year’s handovers are estimated at around 13,000 units. However, the gap between planned delivery and actual handover can be “worlds apart, which could limit the impact of oversupply and generate modest levels of growth in certain popular communities”, Stevens said. On the selling side, Asteco reckons that “transaction levels have the potential to rise beyond those experienced over the last six months. “Whilst master-developers are in the position to release projects at a lower rate — often due to their existing land banks — third-party developers have to be more creative in terms of the type of product and payment terms they offer in order to compete.